How to plan, perform and create content creation strategy? What is content strategy? In this article we will answer all these questions and even more. Content strategy is the piece of a marketing plan and development that refers to the management of pretty much any tangible media that is created and own -written, visual, downloadable. Why is it important to create content creation strategy? Content marketing helps businesses to prepare and plan for reliable and cost-effective sources of website traffic and new leads. The reliable source of traffic and leads from your evergreen content will give you the flexibility to experiment with other marketing tactics to generate revenue, such as sponsored content, social media advertising, and distributed content. Plus, your content will not only help attract leads – it will also help to educate your target prospects and generate awareness for your brand. Here are few simple steps how to create content creation strategy and plan as a subset of your brand strategy. First, define a strategically relevant and powerful content territory for your brand. This should lie at the intersection of your audience’s passion points and your brand value proposition. Choosing how you’ll engage your audience will help you to define your core message and tone. These simple principles will help to improve and create content creation strategy. On the basis of your preparation, make a list of ideas that are perfect for coming up with exhaustive content relevant to your niche. Now you need to curate ideas that you feel worthy of follow up, to focus on only those ideas you are pretty sure will translate into a fantastic piece of content. Once you are done with ideas curation, you’ll be left with 3-4 ideas that have epic content written all over them. Pick one and save all others in your ideas bank for future reference and use. the curation of existing content. As regards content creation, there are structuring three complementary types of content in the following framework: help, hub and hero content. Hub content: The content you develop on a regular basis to give a fresh perspective on your target’s passion points. (E.g. verticalized content about a product line.) This is often staggered throughout the year. Hero content: What content do you want to push to a big, broad audience? A brand may have only a few hero moments in a year, such as product launch events or industry tent-poles. Determine which types of content you want to create. There are a variety of options out there for content you can create. Here are some of the most popular content formats. Blog posts live on a website and should be published regularly in order to attract new visitors. Posts should provide valuable content for your audience that makes them inclined to share posts on social media and across other websites. Ebooks are lead generation tools that potential customers can download after submitting a lead form with their contact information. They’re typically longer, more in-depth, and published less frequently than blog posts, which are written to attract visitors to a website. Ebooks are the next step in the inbound marketing process: After reading a blog post, visitors might want more content from an ebook and submit their contact information to learn more valuable information for their business. In turn, the business producing the ebook has a new lead for the sales team to contact. Templates are a handy content format to try because they generate leads for you while providing tremendous value to your audience. When you provide your audience with template tools to save them time and help them succeed, they’re more likely to keep engaging with your content in the future. Infographics can organize and visualize data in a more compelling way than words alone. Videos are a highly engaging content medium that are shareable across social media platforms and websites alike. Now, let’s talk about how to distribute and activate the content for consumers. You’ll need a central place to store and organize your content to ensure that it’s accessible to your audience anywhere, anytime. Given the abundance of contents on the Web, it’s key to not only produce great content but also to ensure it’ll reach your desired audience with a solid activation and promotion strategy. The right activation strategy depends on the content type. Hero content should be activated by a massive promotional campaign across multiple channels. Hub content calls for more targeted activation. 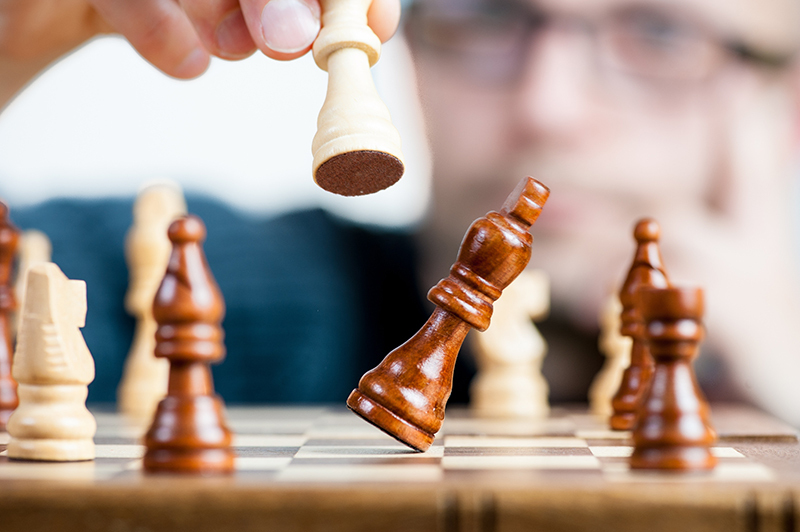 Having a strategy is always a good idea as it contributes a lot to a business. It helps to plan, to identify strengths and weaknesses, to pursue new skills and knowledge and to scan environment of your business. Think with Google, HubSpot, Jeff Bullas.